We did it! Months of planning and building, three days of sheer hard work at the showground and a nervous twenty four hour wait culminated today with our eighth RHS Chelsea Flower Show gold medal. 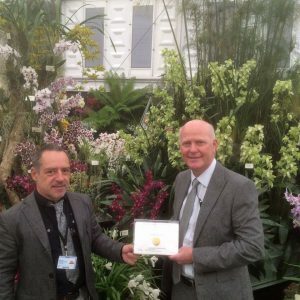 The Foundation has exhibited at the RHS’ flagship show at Chelsea seven times since 1991, and on each of these previous occasions we have been awarded a Gold medal. Could we make it eight golds from eight visits? 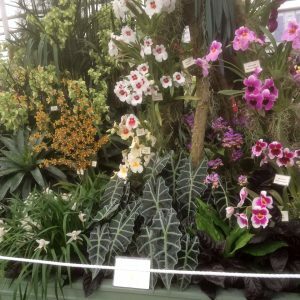 Nerves were certainly jangling this morning as our team approached the display, but as they spied the prestigious gold glinting amongst our orchids the smiles broke out. It’s a real tribute to our small team and we’re delighted to fly the flag for the island of Jersey. 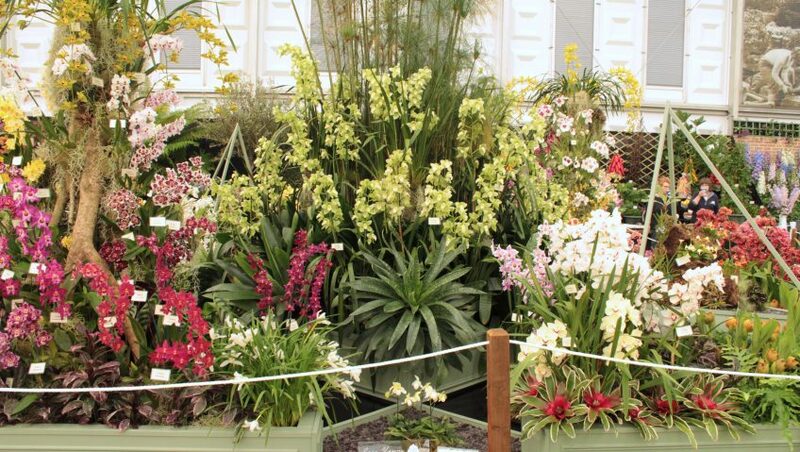 The Eric Young Orchid Foundation is a unique centre dedicated to orchids and proud Chelsea Flower Show gold medalists. We are the perfect all weather / all season attraction to visitors to Jersey. Whatever time of year you visit you will be sure to see something different and amazing. © Copyright 2019 Eric Young Orchid Foundation | Privacy Notice | Website by Blue Llama Digital Agency in Jersey.